Overwatch isn’t just a ‘click heads and win’ FPS game. You need to have patience and determination in order to really excel at this game, but if you’re being held back by your gear then all your hard work will be for naught. Becoming top-tier takes dedication, patience and a great deal of muscle memory. Gear specifically designed for competitive gaming helps reward your patience and repetitive training. A 240Hz monitor will give you the ability to see the onscreen action as smoothly as possible, while a flawless sensor mouse will ensure your mouse perfectly translates your movements while in-game. A solid mechanical keyboard executes swift and reliable commands, while reducing button resistance (needed for hours of button smashing). Based on these gaming hardware essentials, we’ve constructed a comprehensive article analyzing pro player and free agent Overwatch monitor and peripherals used in the Overwatch scene. You can find the data from our list here and see our analysis findings below. What’s the best monitor for Overwatch? As you can see from our lists, having a 240Hz monitor is pretty much mandatory according to the professionals and Blizzard themselves, since the ASUS ROG Swift PG258Q is the monitor that’s used by all players on the Overwatch League stage. There is some variance in which model the individual player prefers, but not a single Overwatch League pro player uses a regular 60Hz monitor. As for size – most professional player use a 25’’ monitor, although some opt for a 24’’. As an ideal Overwatch monitor feature, 240Hz gives you an advantage in the sense that it makes it easier to track quickly moving objects or players, and with Overwatch being the hectic and fast-paced game that it is you’re going to need every advantage you can get on this front. In season 1 the stage monitors on the OWL stage were the ASUS ROG Swift PG258Q monitors, but since the start of Overwatch League’s season 2 in 2019 the stage is outfitted with a currently unreleased 240Hz version of OMEN’s gaming monitor. Little more is known about this specific monitor, but the 144Hz version (which has been released for a while) has a super responsive TN panel as well as FreeSync, anti-glare, and a whole other bunch of gaming-oriented features, so we can reasonably expect this unreleased version to offer the same (if not better) gaming-oriented specs at a framerate of 240Hz. We will obviously update this page whenever more verifiable information comes out. 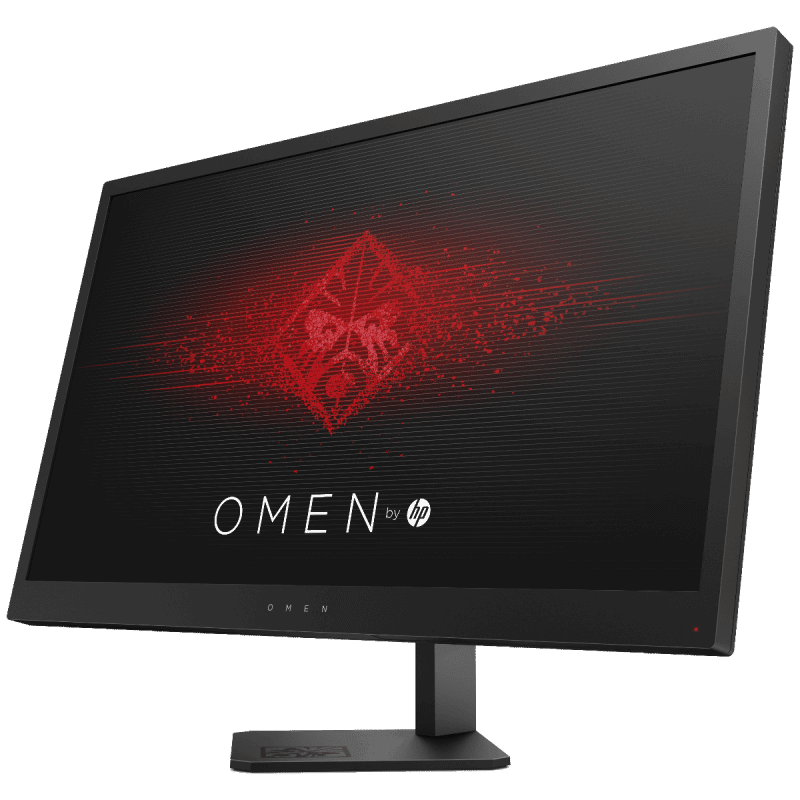 It makes sense for OWL pros (which make up the majority of our analyzed professionals) to practice on the stage monitors, so the OMEN is currently the most used monitor in the pro scene, though last year’s ASUS ROG Swift PG258Q is still being used by over a tenth of OW pros. It also offers a 240Hz refresh rate, as well as a 1ms response time and lots of bells and whistles to give you an upper edge ingame, so if you’re considering a top-end gaming monitor for OW and you want it now we can definitely recommend that. The BenQ XL2430T is also worth considering. It’s a bit cheaper and only has a refresh rate of 144Hz, but if you’re on a budget this could be the one. Another option in the 240Hz range is BenQ’s XL2546, which we’ve reviewed here. OMEN by HP is the clear winner here. They’re the gear sponsor of the Overwatch League and as such it’s only natural that most professionals train on their display. BenQ Zowie offers a bunch of gaming monitors at all price points, ranging from basic 144Hz models to full-featured 240Hz displays, so they’re definitely a favorite with non-OWL pros and free agents. ASUS’s products (while still top tier) have fallen off in usage a bit, mainly due to the brand swap on stage, so they currently come in third. What’s the best mouse for Overwatch? Nowadays finding the right gaming mouse is all about finding what’s right for you. It has always been that way (shape, feel, and weight have been important gaming mouse characteristics since forever) but technology has come to the point where almost all newly released mice (from reputable brands) contain a flawless sensor. Without having to necessarily worry about the internals of a mouse you can freely pick one out that suits your grip style, has all of the features that you want, and so on. For Overwatch you don’t really need a complicated mouse. There is no need to have a gazillion side buttons, nor do you need a ton of extra functions on the mouse itself. Our data learns us that most Overwatch professionals prefer their mice simple: a set of two side buttons, a scroll wheel, and that’s it. That’s not surprising for an FPS game, but what is something that’s interesting to us is that a lot of OW pros are opting for a wireless mouse. About 40% of our analyzed professionals are using a wireless mouse, which is something that was completely unthinkable just a couple of years back. It just goes to show how far (Logitech’s) wireless technology has really come. Playing with a (proper no-latency) wireless mouse really is an experience unlike anything else, so it’s not that surprising that more and more gamers are switching over. About a fifth of Overwatch pros use the Logitech G Pro Wireless, forcing the king of OW mice during most of the Overwatch League’s first season (the G Pro wired gaming mouse) from the first spot in the few months since it’s been out. 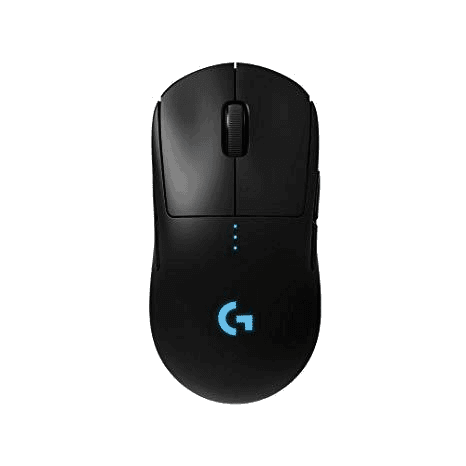 It makes sense too; the G Pro Wireless is an incredibly attractive package with a nice shape, configurable side buttons (making it a truly ambidextrous mouse), a flawless sensor, rechargeable battery and Logitech’s state of the art wireless technology. All of that is crammed into a a mouse that weighs less than most of its wired counterparts. Logitech has always been the most used manufacturer in the Overwatch world when it comes to gaming mice, and the longer the OW pro scene goes on, the bigger the gap with the rest of the pack becomes. Zowie’s various offerings are being used by about a quarter of the Overwatch pros, with the trusty EC2-A being the most represented Zowie rodent and the other models sharing about equal pieces of the cake, and after that we see a variety Razer Deathadder iterations. A couple of pros (two percent, to be precise) use Finalmouse’s Ultralight model and the remainder or mice come from Steelseries, Corsair, Dream Machines, and so on. What’s the best keyboard for Overwatch? The keyboard is often an overlooked part of a setup, but a solid mechanical keyboard certainly has its advantages. Every analyzed Overwatch pro uses a mechanical keyboard, so it can be said that investing in one is essential for high-level play. Overwatch doesn’t need many extra buttons or macro keys, and that’s evidenced by the fact that the two most used boards are TKL (tenkeyless) keyboards, meaning that they don’t have an extra numpad on the side of the board. This is handy mostly because your keyboard takes up way less space on your desk, leaving you to have way more mouse real estate, and it also vastly increases the portability factor. The desks on the stage of the OWL might be spacious enough to accommodate a full size keyboard, but this isn’t necessarily the case for the teams’ practice rooms, and with players having to run about with their gear multiple times it’s only logical that many players opt for a smaller form factor. Not a single pro uses a rubber dome keyboard; mechanical keyboards have become the standard for almost all games, and there’s a reason for that. Mechs are simply way more pleasant to use and offer a variety of features which can enhance your gaming experience, such as anti-ghosting to make sure that all of your key presses are registered properly. If you get a nice and good quality keyboard it’ll last you years and years as well. They’re pretty easy to maintain and clean so if you do decide to invest in a nice keyboard that has all the features that you want you’ll be good to go for years to come. The Logitech G line of peripherals is tailor made for gamers. Lots of companies claim that, but with Logitech it seems to ring true. Their G Pro mice are the de facto standard Overwatch mice, and the Logitech G Pro Mechanical Keyboard takes the first place as that other desk peripheral. 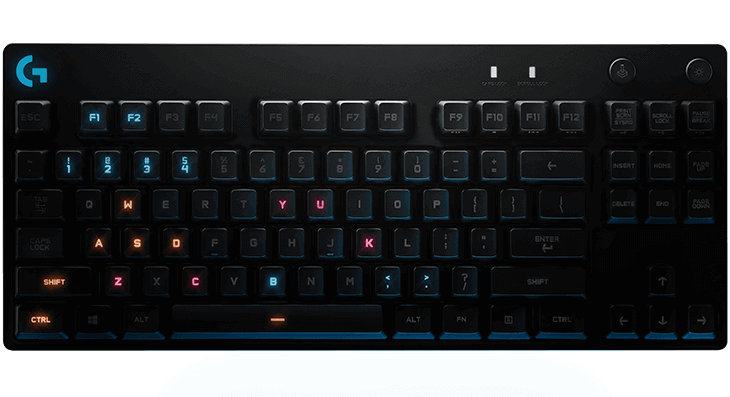 The G Pro Keyboard is a fairly straightforward board: it’s got a plain black chassis, fairly neutral font, and no extra (and, for Overwatch, ultimately useless) features that increase the size and heft of the keyboard. It’s a great choice if you want a no-nonsense mechanical board for gaming. Although Logitech leads the way in most-used Overwatch keyboards there are still great alternatives from competing brands. Razer only seems to make one keyboard according to the OW pros, with the Blackwidow line being by far the most used Razer board in the Overwatch pro scene. After that we’ve got a whole lineup of Corsair’s models, and brands like CM and ASUS round out the list. What’s interesting here is that, when compared to most other games that we’ve analyzed, a fairly large amount of pros opt for ‘niche brands’ such as Leopold, Das Keyboard, and Ducky. These companies are lesser known in the mainstream gaming scene, but they also produce great products as you can see in our review of the Ducky One 2 Mini. What’s the best headset for Overwatch? As with any FPS game, audio is extremely important in Overwatch. It’s essential to hear where that Junkrat tire is coming from or whether or not that enemy flanker is above or below you. Overwatch’s soundscape is incredibly well designed, and using the audio in the game properly can really elevate your game. We can’t really count the amount of times where we called out the position of an enemy to our team by using sound alone, so getting a headset that accurately and clearly delivers the ingame sounds to you is of crucial importance in this game. You don’t really need a headset combo; it’s just as good to get a nice set of cans and an external mic, but if you’re traveling a lot or don’t want to muck about with cables too much you can definitely get some great combo headsets. The sound category is one where Logitech doesn’t take first place with their G lineup, but is an awfully close battle. HyperX’s Cloud lineup has long been lauded as a great gaming headset, offering plenty of bang for the buck, and the second version of their popular set takes first place here. Other variations (such as the Revolver) are also being used, but the majority of Cloud users still seem to stick with the ‘OG’ set of cans. 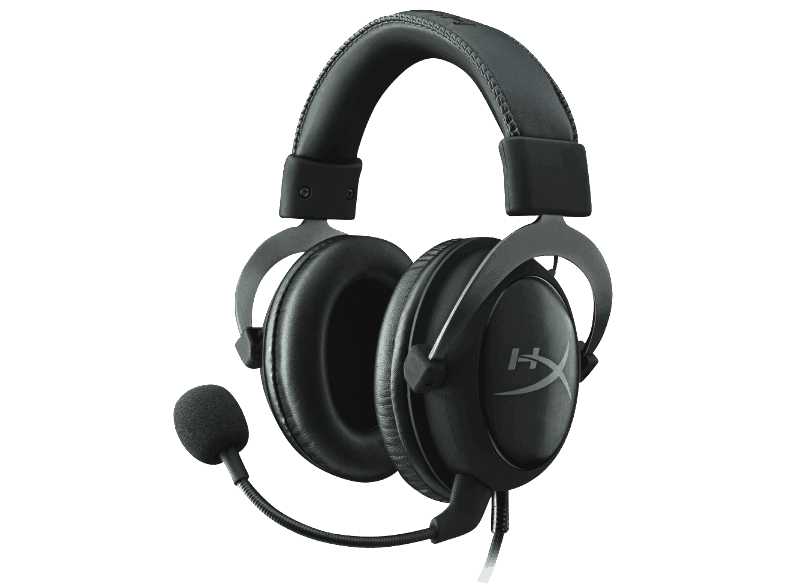 The Cloud II features a comfortable and sturdy design with a detachable mic, a choice between synthetic leather and velours pads and a great sound and mic quality for the price, as well as the option to go for 7.1 surround sound ingame. HyperX and Logitech are practically tied, and both companies offer a variety of headsets ranging from super basic beginner models to full-featured behemoths, so you’ll find plenty of products to your liking with both of these manufacturers. Sennheiser isn’t really a gaming company, yet they’re the third most used brand (offering up the third most used headset model as well) by the Overwatch pros. The Sennheiser models are on the pricier side, but you do get a great sounding headset from a company that’s been doing audio since 1945, and a great mic to go with it as well. The fact that Sennheiser rounds out the top three in the audio department further emphasizes the importance of sound in Overwatch. Logitech’s been hard at work creating the best gaming peripherals out there, and if we are to believe the Overwatch professionals they’re succeeding at that too. What is interesting to us is that, in addition to the usual suspects such as Logitech, Razer, Zowie, and so on we also see a lot of niche brands being used by the Overwatch pros, especially when it comes to keyboards and audio solutions. This, to us, means that Overwatch pros do their due diligence when it comes to their peripherals and further reinforces the notion that the days of players being forced to use sponsored gear are behind us. You see a lot of players using the big brands, which means that they definitely put out quality products worthy of being used on the world’s biggest esports stages. With Overwatch being a relatively new esport with players who aren’t necessarily bound to ‘old school gear’ and traditions it’s certainly exciting to see these trends in how the pros select their gear. Thank you for reading and we hope you enjoyed!